Rees Howells reached the pinnacle of his life of intercession during World War II, when God transformed world events through prevailing prayer. 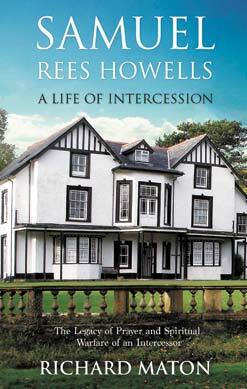 ‘Praying through’ with Rees, was his son, Samuel Rees Howells. Nearing his death in 1950, Rees Howells turned to Samuel and said, “Whatever you do, stand and maintain these intercessions.” For the next fifty plus years, Samuel was faithful to this commission as he developed as an intercessor and man of faith. As the new director of the Bible College of Wales, Samuel led more than one hundred intercessors who had been trained under Rees Howells, to intercede whenever gospel liberty was threatened. Beginning with prayer for revival around the world, especially in China, Samuel’s intercessory battles led him to bind the strong man during the Korean War to the Cuban Missile Crisis and from the Six-Day War to the fall of the Berlin Wall. Beginning in 1912, this book continues the powerful story of intercession which began with Rees Howells and traces the continuing legacy of spiritual warfare through the life of Samuel Rees Howells and into the twenty-first century. Richard Maton worked under Samuel Rees Howells' ministry for forty-seven years and provides us with a firsthand account of Samuel’s life. 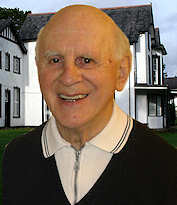 Richard was converted under the preaching of Dr. Martyn Lloyd-Jones and was called to Rees Howells' Bible College in 1956 after hearing Leonard Ravenhill preach. He has served in various roles as teacher, lecturer, dean, trustee and Principal of the College and worked closely alongside Samuel Rees Howells for more than twenty years. Richard is married to Kristine. Kristine Maton joined the College family in 1936, when her parents sold all to join the work, when Rees Howells was the Director. She grew-up at the College during the war years, and later joined the School staff, taking various roles including becoming Head Teacher. Kristine has laboured extensively with her husband Richard on this book, providing valuable insights, including personal memories from the prayers of Rees Howells, to the many decades of the ministry of Samuel Rees Howells. Richard Maton is also the author of the full biography of Samuel Rees Howells, including the history of the Bible College of Wales. Learn more about Samuel Rees Howells in the book Samuel, Son and Successor of Rees Howells Go.